Retired boxer Octavio (Roberto Farías) is fighting a losing battle against time as his health has begun to deteriorate. 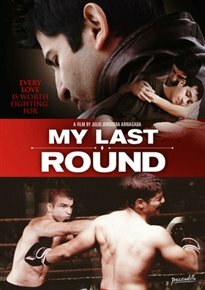 When he meets Hugo (Héctor Morales), a young troubled man, they strike up a rapport that quickly turns into something neither of them expected. Feeling that they can’t continue their relationship in their small home town of Osorno, they move to Santiago where they hope they can each find the happiness they desire. But will their new life in the capital be all they expect it to be?